Ask almost any thru-hiker, and they’ll tell you, the 170 miles of the Appalachian Trail in Southwest Virginia are among the highlights of the trip. From the leafy banks of Whitetop Laurel Creek to the cloud-nestled high country of Mount Rogers to the ridgelines above Burkes Garden, Southwest Virginia is home to some of the most memorable portions of the legendary 2,190 mile footpath. Beyond the scenery, the region is also renowned for celebrating the culture of thru-hiking, famed for welcoming towns and kindly trail angels. The Appalachian Trail saunters into Southwest Virginia from the Cherokee National Forest in Tennessee, crossing the state line just about four miles south of the town of Damascus. After moseying directly through the heart of the trekker-friendly town, the trail meanders into the into the 200,000 acre Mount Rogers National Recreation Area, part of the massive Jefferson National Forest. Once within the confines of the Jefferson National Forest, the footpath traipses through the lake-anchored Beartree Recreation Area, before entering the high country of Mount Rogers, the realm of panoramic bald peaks, montane forests, and pony-trod meadows. In the high country, the trail skirts Virginia’s loftiest peak, 5,729 foot Mount Rogers, before snaking through a corner of Grayson Highlands State Park. After descending from the high country, the trail continues through the Jefferson National Forest, veering just seven miles from the hiker-friendly town of Marion. About 35 miles beyond Marion, the trail treats hikers to a bird’s-eye view of pastoral Burke’s Garden—Virginia’s loftiest valley and largest historic district—courtesy of the vantage point provided at Chestnut Knob. Just before meandering out of Southwest Virginia, the trail climbs Pearis Mountain to one of the footpath’s most iconic viewpoints, the rock outcrop dubbed Angel’s Rest, before descending to the New River, one of the oldest waterways on Earth. 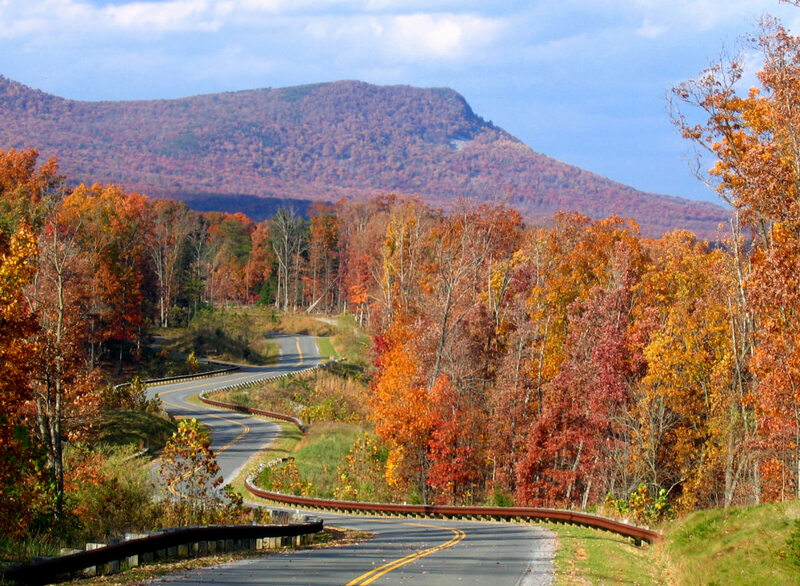 You don’t have to be a thru-hiker to enjoy the Appalachian Trail in Southwest Virginia. Choose a scenic section for a day hike, or play a multi-day backpacking trip in the region. Here are just a few of the highlights to explore. After the Appalachian Trail crosses into Southwest Virginia from Tennessee, one of the first stops is Damascus. Located 465 miles from the trail’s southern terminus, the town is an alluring haven for weary thru-hikers, with plenty of creature comforts, including places to load up on maps and repair or replace battered gear, like Sundog Outfitter and Mt. Rogers Outfitters. Just twenty minutes northwest of Damascus is its sister city of Abingdon, which is an excellent base camp for anyone exploring the region. The two cities are connected by the Virginia Creeper Trail, another spectacular option for hiking, running and cycling. (Take a shuttle to the trail’s start at Whitetop Station and enjoy a mostly downhill ride all the way back to Abingdon.) Take advantage of Abingdon’s restaurants, many of which focus on locally produced products, like Jack’s 128 Pecan. After a day on the trail, a craft brew from the Wolf Hills Brewing Co. is a treat not to be missed. 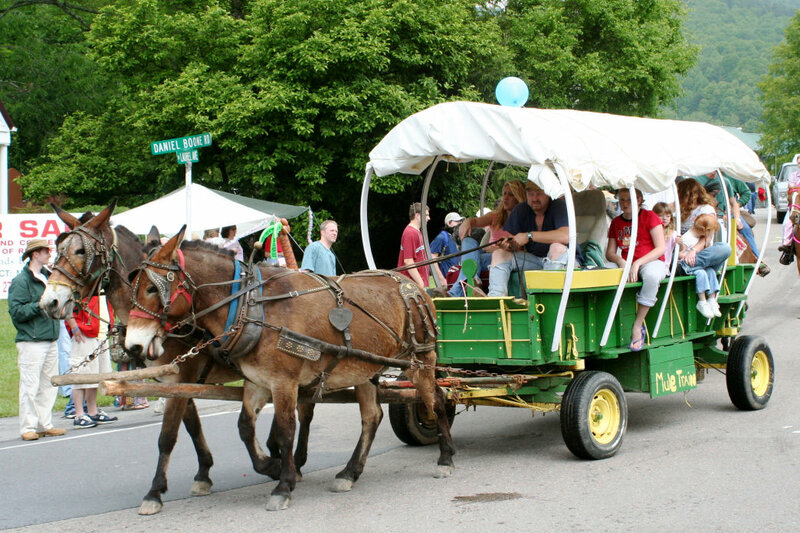 In the spring, the Appalachian Trail Days festival features a rollicking, weekend-long celebration of the iconic footpath, featuring live music, tasty food, and vendor demos. A mishmash of airy Appalachian balds, highland spruce-fir forests, and mountain meadows nibbled by wild ponies, the high country of Mount Rogers is like no place else on the entire East Coast. Fortunately for thru-hikers, the Appalachian Trail offers one of the most spectacular routes through the vista-laden highlands. Besides the wandering ponies, the stunning upland realm supports a unique array of fauna, including Northern flying squirrels, pygmy salamanders, and high-elevation birds not encountered elsewhere in the state. In the high country, the Appalachian Trail leads trekkers through the pristine Lewis Fork Wilderness and the trout-stream-braided Little Wilson Creek Wilderness, while also rambling past aesthetic gems like "The Scales," a vast alpine pasture that once functioned as a cattle-weighing station, and the braided cascades of Comers Creek Falls, a photo-worthy picnic stop. Crowning a quintessential Appalachian bald, the panoramic crag on Whitetop Mountain dubbed Buzzard Rock is the fourth highest point in the entire state. Perched at 5,095 feet, the stack of rocks offers views of the ridgelines of Iron Mountain, the forest-shrouded summit of Mount Rogers, and weather-permitting, even 5,837 foot Grandfather Mountain in North Carolina. Located in the heart of the Mount Rogers high country, Grayson Highlands State Park is a luxury-laden pitstop for thru-hikers, replete with perks like hot showers, fire-ring studded campsites, and a seasonal Country Store, perfect for grabbing treats for the trail. The park is also home to nearly 100 wild ponies, introduced to the park nearly a half-century ago to graze the highland balds and thwart reforestation. While the herd freely roams the park and adjacent Mount Rogers National Recreation Area, the sturdy ponies are regularly found grazing the upland meadows of Wilburn Ridge. Besides wild ponies and trailside amenities, boulder-strewn Grayson Highlands State Park is also a hotspot for climbers, loaded with more nearly 1,000 problems to tackle. One of the most-buzzed about shelters on the Appalachian Trail, the spacious Partnership Shelter has a reputation that precedes it—especially as a place hikers can order pizza on the trail, from the nearby town of Marion. Offering running water, and even a shower, the sturdy shelter is also a popular spot for socializing, especially following Appalachian Trail Days in the spring, when northbound thru-hikers pass the log-hewn lean-to on the path to Katahdin. One of the best places to catch a glimpse of the stunning geological anomaly dubbed Burke’s Garden is from the Appalachian Trail, along Chestnut Knob above Walker Gap (marked by the Chestnut Knob shelter, at 4,409 feet). 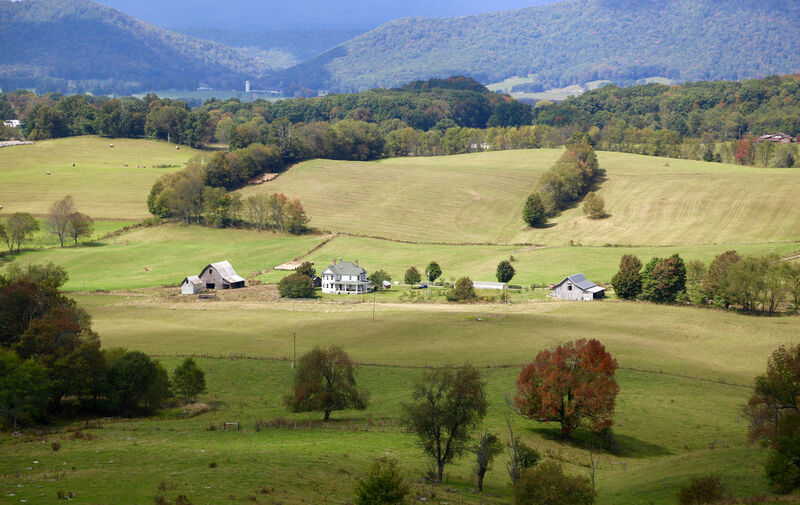 Nicknamed God’s Thumbprint, the high-elevation valley – sitting at 3,200 feet – is completely encircled by Garden Mountain, and was famously the top choice location for George Vanderbilt’s Biltmore Estate. Today, verdant Burke’s Garden remains a bucolic time-capsule, and one of the state’s most unique historic districts. The Mount Rogers Appalachian Trail Club is tasked with managing about 60 miles of the Appalachian Trail in Southwest Virginia, beginning at the Tennessee border, and including section in the Mount Rogers National Recreation Area, the Jefferson National Forest, and Grayson Highlands State Park. The group is an invaluable source of information on the trail, and leads regular recreational hikes in the high country of Mount Rogers. Maintained by the Southwest Virginia Citizen Science Initiative, the website High Lonesome Trails also provides detailed information on several regional sections of the Appalachian Trail and other hikes in Southwest Virginia. For thru-hikers or day hikers, detailed maps of the Appalachian Trail in Southwest Virginia include National Geographic’s Trails Illustrated Map of the Mount Rogers High Country (which includes Grayson Highlands State Park), and the pair of maps available from the Appalachian Trail Conservancy, covering the Appalachian Trail in Southwest Virginia from the Tennessee border to the New River. So learn more and take advantage of one of the state’s most impressive outdoor resources. Written by Malee Baker Oot for RootsRated Media in partnership with Abingdon.